Periodic limb movement disorder (or PLMD) is the repetitively and involuntary jerking of the legs while the person sleeps and the symptoms that come as a result of this phenomenon. Periodic limb movement disorder only happens at night and during sleep, however, this disorder should not be confused with restless leg syndrome (RLS), which is not involuntary. Periodic limb movement disorder is usually linked with restless leg syndrome symptoms, though they are different. In restless leg syndrome, the symptoms are leg movements while awake, and the person wants to move their legs to relieve the feeling or the sensation they are going through. It is said that 80% of those people who suffer from restless leg syndrome suffer from Periodic limb movement disorder. However, the opposite is not true, since many people who have PLMD do not have restless leg syndrome. The causes of PLMD are still unknown, however, many people who have underlying conditions such as Parkinson’s disease or nacrolepsy also suffer from PLMD. Other contributing factors such as snoring, caffeine, stress and benzodiazepine withdrawal, all seem to correlate with PLMD cases. A lot of evidence points to severe periodic limb movement occurring when the person is under medication such as anti-dopaminergic agents or even neuroleptics. It could also be when the person is suffering from withdrawal from barbiturates or benzodiazepines. This condition is also known to be exacerbated by tricyclic antidepressants, SSRIs, stress and sleep deprivation. So similar to RLS, it can become a vicious cycle. The less sleep one gets because of this condition, the more the condition gets aggravated and progresses. However, simply taking sleeping pills to go to sleep can often lead to more intense symptoms. In many cases, Periodic limb movement disorder is unknown by the person, and it is only told to them by their bed partner. Often the knee, ankle, and big toe are all part of the movement. The limb movements can vary from just slight movements to kicking, and usually last for around 0-5 seconds, occurring at intervals of 5 to 90 seconds. There is no such periodic limb movement index score, but a diagnostic machine known as a polysomnogram, or PSG is often used to confirm if the person has Periodic limb movement disorder. Conventional treatment for Periodic limb movement disorder involves the use of anti-Parkinson medication or narcotic medications. In fact, the similar kind of treatment is given for those suffering from Periodic limb movement disorder as well as restless leg syndrome. They include Benzodiazepines – which help to suppress the contractions of the muscles and help you to sleep even through the movements. It also includes dopaminergic agents which increase the levels of dopamine which is used to regulate the muscle movements. The treatment includes anticonvulsant agents to reduce the contractions and GABA to stop some neurotransmitters from being released, so the contractions are relaxed. Ultimately, even though PLMD and RLS exhibit characteristically different symptoms, the same type of treatment tends to work in many cases. Focusing in on dopamine neurotransmitter functioning is currently where the battle is taking place for both of these conditions. The first type of restless leg syndrome that you typically hear about is known as primary RLS. For the most part, people will this type of restless leg syndrome will not start experiencing symptoms during their early years and is known by experts to be a neurological disorder. Despite this, it is still possible that you can show signs of RLS even when you are a child. The symptoms will usually start out slowly and the problem will only bother you on occasion. But over time, the occurrence of restless leg syndrome tend to change and start to happen more on a regular basis as you get older. The second type of restless leg syndrome that you may have to deal with is known as secondary. This type of restless leg syndrome is much more severe compared to the primary type and it will usually be due to another health condition that you may not know about. Some of the underlying health conditions that may cause this kind of restless leg syndrome include Parkinson’s disease, rheumatoid arthritis, pregnancy, ADHD and AFF, kidney disease, nerve damage that can be caused by diabetes, folate deficiency, and/or low levels of iron in your blood. What are the different types of restless leg syndrome? While some of the discomfort from may be noticeable during the day, most people who suffer from restless leg syndrome will report that the symptoms will become much more noticeable when they are laying down at night and they are trying to sleep. The most common symptom that you may have to deal with if you are suffering from restless leg syndrome is a burning sensation that never seems to go away and will seem to ‘crawl’ up and down your legs. There are different methods that can be used to deal with restless leg syndrome and the type of restless leg syndrome that you have will often determine which method works the best for you. Let’s clear the air about restless leg syndrome types so we can help you understand what is going on and how you can make it better. It is important that you know the causes of restless leg syndrome so that you are able to deal with them and get the help that you need. Many people who have restless leg syndrome will notice that they are feeling uncomfortable, crawling or burning sensations move through their legs, especially when they lie down at night. They will feel like they need to get up and move, even if they are really tired. The frequency and severity of the symptoms will often change from each day. Some people will notice that they will just have a little bit of difficulty falling asleep at night while others may have trouble getting through parts of their daily routine. • Chronic diseases – many chronic diseases such as diabetes and kidney failure may be the reason that you are suffering from restless leg syndrome. 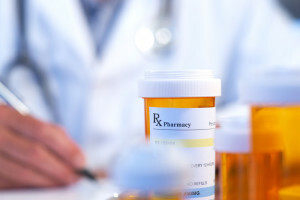 • Medications – if you are on certain types of medication or even OTC sleeping aides, then you may be aggravating the symptoms of your RLS. This is why it is a good idea to talk to your doctor if your symptoms of RLS are getting worse and you think your medication is the cause. • Pregnancy – many pregnant women will notice that they have more frequent occurrence of restless leg syndrome, especially during their last trimmester of pregnancy. Some experts believe this to be due to a folate deficiency. Experts are now starting to isolate a possible cause for primary RLS to be an issue with the iron absorption within the area of the brain responsible for dopamine production. 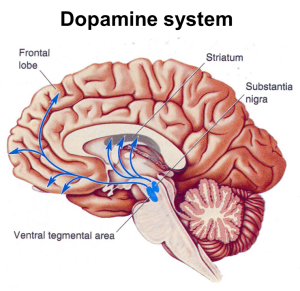 This region, the substantia nigra, requires iron in order to produce dopamine, a critical neurotransmitter for many neurological and motor functions of the body. If this is out of balance, RLS is more likely to occur. 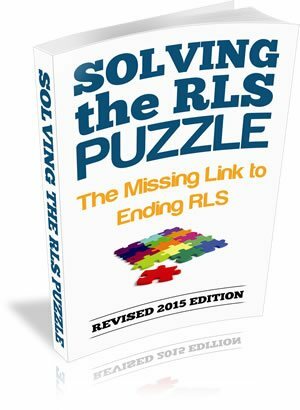 What Causes That Pesky Tingling in Legs During RLS? While this classic symptom of RLS is common, research has yet to prove what exactly is going on when one experiences these tingling sensations. One theory speculates that the tingling in legs is due to damage of your nerves. The brain can’t interpret the signals it is receiving as it is outside of its experience. To deal with this, it tries to relate it to something the body has experienced before like being squeezed or burnt. Alternatively, it may relate it to something that it can imagine. So, essentially, the neuropathways that deliver sensations from the skin to the brain are damaged or deficient. Continue reading for how to naturally relieve these types of restless leg symptoms. RLS or Restless Leg Syndrome is a neurological condition that causes an irresistible urge to move or shake one’s leg or can cause a tingling in legs. This condition most commonly occurs when the patient is in a resting position or is trying to sleep and can majorly damage their regular lifestyle and cause sleeplessness. The most common syndrome that patients complain about if they suffer from RLS is the tingling in legs sensation that seems only to die down if they move about or rub their legs vigorously. While, for some people, this symptom causes only irritation and doesn’t happen too often, in severe cases this sensation can be quite painful and is a long term problem. There are two types of RLS, and the causes can differ as to why the patient experiences a tingling in legs. Primary RLS is the first type when there seems to be no discernible cause for the patient suffering from these symptoms – which means that there, seems to be no nutritional deficiency or neurological damage that could be causing this effect. In such cases, the patient is said to suffer from Primary RLS, which is considered to be a genetically transferred cause. It has been studied that people suffering from Primary RLS who seem to have no physical reason to have this tingling in legs do in fact have family members in the older generation who have suffered from RLS. Secondary RLS is the second type that is known to occur in patients and cause this uncontrollable tingling in legs sensation as a result of some other neurological disease, nutritional deficiency or due to side effects of a drug. Diabetes, Parkinson’s disease or damage to certain nerves or parts of the brain is the ailments that can cause RLS. Low levels of Iron or Magnesium are considered to be the nutritional deficiencies in the body which can also lead to similar symptoms. It has also been noticed that pregnant women in the last few months of their pregnancy might also feel the same tingling in legs sensation associated with RLS. This symptom usually goes away after giving birth but if the problem persists it could be because they have developed RLS. How can this sensation be relieved? The most natural urge to relieve the tingling sensation in your legs is to rub the legs vigorously or get up and walk about. However, if this is a long-term and recurring problem, special attention needs to be given to the problem. While there are medications that may be prescribed for RLS, they also come with side effects and more doctors are now prescribing natural and alternative treatments to relieve patients from this sensation and help them sleep better at night. From improving your daily diet to including moderate exercise to your daily routine; there are a number of safe ways in which this syndrome can be treated. Our eBook, which comes with every order of Seratame outlines the specific dietary and lifestyle changes that one can follow in order to find tremendous relief. Finding a good, chelated magnesium, such as magnesium malate, can help reduce symptoms of tingling in legs associated with RLS. Vitamin E and folic acid also work together synergistically to comat this as well. That is why Seratame contains all of these ingredients plus a few others which can target specific causes and symptoms of restless legs. Click here for more information on how Seratame works.